The Husky #0 x 4-inch Square Recess Screwdriver features a tough butyrate handle for strength, durability and resistance to solvents and chemicals. The 4 in. shaft is satin nickel plated for protection against corrosion and the tip is heat treated for strength and wear resistance. Larger acetate handle provides additional torque for applications using a square recessed screw. 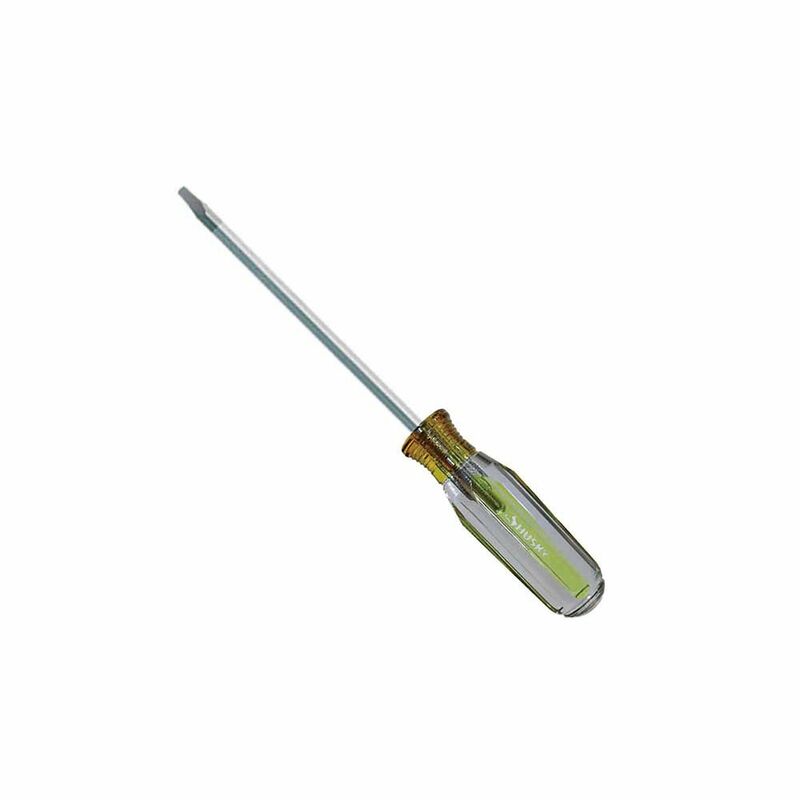 0 x 4-inch Square Screwdriver with Acetate Handle The Husky #0 x 4-inch Square Recess Screwdriver features a tough butyrate handle for strength, durability and resistance to solvents and chemicals. The 4 in. shaft is satin nickel plated for protection against corrosion and the tip is heat treated for strength and wear resistance. Larger acetate handle provides additional torque for applications using a square recessed screw.